Compared to even a decade ago, technology has brought about a staggering change in the way people learn. This is especially true now with the availability of smartphones and tablets and our approach to engaging with the world. E-Learning which seemed like a foreign concept is now quite common place with lessons on YouTube and university courses online. While these formats were mostly accessible on computers, mobile app development is disrupting the way we learn. No doubt, the education field is working on fresh formats and models to stay relevant and address the constantly evolving student and educator needs across the globe. Toddlers and youngsters these days are more comfortable using tablets and smartphones. Educational apps are making it easier for college students and professionals to learn new skills using mobile platforms. With thousands of apps which cover all subjects (beginner to advanced), it is a bit difficult to present a comprehensive list. A free service for non-profits, schools and just about anyone who has access to a personal Google account, Google Classroom is a platform where educators and teachers connect easily with learners. This can happen both inside or outside of schools. The educational apps are huge time saver as they allow the user to create lessons, distribute assignments and communicate completely through digital channels. Post review, students are able to view their corrected assignments along with class materials directly in their Google Drive. The app is both secure and affordable and should a part of any teacher’s app suite. With the Classtree app, teachers can save up to two hours per day from avoiding to manually sift and sort through paper forms. All communication via this app are private and secure. The app has a very simple 3 step process of attaching the consent form, inserting an e-signature link and emailing it to the user’s parents’ group. Teachers may send out a unique class code to parents. Invites may also be done via uploading an excel sheet with email ids on the Classtree web dashboard. Other benefits include reporting in real time, sending out event reminders, permission slips and photo sharing. Having this app on the smartphone ensures that there are no more missed consent forms or permission slips anymore. Thousands of teachers across the UK use the TED app as a medium to satisfy their curiosity and expand their horizons. Teacher use TED as platform to innovate education processes and systems through continuous student engagements, delivering content via subject matter experts. Pocket is a unique app that allows teachers to curate various types of content, articles and videos from across online platforms. This is especially useful as users can incorporate information into their classroom lectures. Key Features: Users may save stories that are relevant to their area of teaching which may eventually be used to fuel the minds of the students through an experience garnering a fresh approach to education. The app interface has a clean, customizable layout that offers a relaxing reading experience to its users. The app has a clutter-free UI that lets the user concentrate on the information at hand. This social learning platform is designed for both students and teachers. Concentrating on best practices of communication, teachers are able to reach individual students in their class. key features: Edmodo is typically used for communication as well as assignments and quizzes. Classroom management becomes much easier as students can reach out to their teachers with homework assignments or messages. Edmodo reduces a teacher’s work load and makes it easier for them to stay connected with their classroom. Parent accounts are also part of the structure and allows parents to monitor their child’s progress, grades, assignments, the school calendar and messages from different teachers. Making learning really cool and fun, this educational app is a tool used by teachers to send quizzes, start a discussion or even surveys through games. Key features: Set up to be a game, this classroom-based response system lets a whole class participates in real time. Children can answer questions which are displayed on a screen and the answers are given via a smartphone, computer or tablet. Add on features include homework and remote training sections that helps in engaging the students in a more innovative manner. The creators of this app ensured that it offers cross-curricular educational content which is in animated form to capture a student’s attention. It helps teachers to engage a class with exciting lessons. Used in primary and secondary level classrooms, it can be accessed on mobile devices. The featured movie topics are on a rotational run with a choice of current events, historical milestones and figures, holidays, and more. The app suits those who like to learn on the go. BrainPOP uses resources which explain the world to children with animated videos, games, interactive quizzes and a multitude of online activities. An award winning, educational app directed towards teachers to engage students with learning experiences that are innovative, yet rich in knowledge. Key Features: This easy to use tool helps teachers to create interactive lessons, presentations, digital content and assessments. Teachers can then use it to track a student’s progress and level of learning. Lessons comprise slides created by the teacher containing text, images, videos, resource websites, quizzes and assignments. Students can follow a lesson at their own pace on their devices and then go to a synchronized session with a real time lesson. A staggering 30 million students use Quizlet across the globe, which makes this an app that every teacher should have access too. Studying languages, history, vocabulary and science has not become more interesting by using flashcards on the app. This app consists of 1000s of quizzes on a specific subject, created by other teachers. This material covers a given subject comprehensively and helps students learn well and earn top scores. The Quizlet app have resources for every subject, at every level. Revising subjects is fun and students can test their knowledge using interactive flashcards, diagrams and games. Some of the subjects covered are languages, science, math, history and more. Paid versions of the app include Quizlet Go and Plus that allows access to unlimited number of classes along with some more premium features. Avail of the 7 days free trial and get the hang of it. Now turn your iPad or tablet into your very own interactive whiteboard. Use the ShowMeapp and boast of your knowledge with your students, friends, family, or even the world. This app allows teachers and students (in any age group and class) to create presentations. These can be shared online or via the device with a small audience/community. The user makes presentations on a specific topic using the available tools such as text, drawings and images. ShowMe lets a user record a tutorial and do a voice over and share them online. This easy to use app is easily understood by the old and young quite easily. 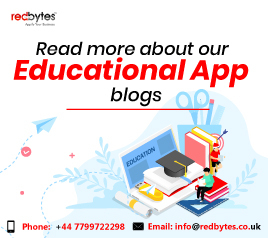 Even in 2019, software companies are hard at work with iOS app development as well as android app development to ensure high quality educational apps which are easily navigated. These are designed to make teaching and learning easy – good educational apps are not just provocative, these are also open-ended to encourage students to think for themselves. After testing educational apps in a classroom and getting inputs from students and teachers, curriculum is developed to make it interesting and learning easy as well fun.